A pretty and cheerful daisy floral design all around print on a big 12" balloon will suit any special occasion! These printed balloons are of helium quality. 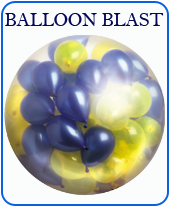 Can be inflated with air or helium for the desired use. For inflating balloons with air , we recommend our balloon pumps. Manufactured from natural rubber latex, using the most modern production technologies, Gemar balloons are distinguished by their highest quality. They comply with European Standards EEC Toy Directive 88/378, CE EN71. 100% Bio degradable. 100% rubber latex. Quality : CE & TUV Toy Safety certififications. 100% Made in Italy Certification. Helium Quality.